With the maturity of Tokio Marine’s $160m Kizuna Re Ltd. catastrophe bond, which it sponsored in 2011 to secure fully collateralized reinsurance cover for typhoon risks, Japanese typhoon has shrunk to make up just 1% of the outstanding cat bond market. Japan typhoon has always been a component peril of the catastrophe bond market, with large Japanese primary insurers keen to secure reinsurance cover from the capital markets, but in recent years it appears to have lost favour, having been on a steady decline in the market. Tokio Marine has not, as yet, emerged with another Japan typhoon cat bond to replace Kizuna Re with, which suggests either that it is still considering its options, which it has done before between the maturity of its 2006 Fhu-jin Ltd. cat bond and Kizuna Re, or that it has secured the cover using traditional or collateralized reinsurance markets. With the maturity of Kizuna Re on Monday, the outstanding cat bond market has shrunk to $22.671 billion, according to our Deal Directory data, which has reduced the share of the market which consists of Japanese typhoon risk down to just 1%. 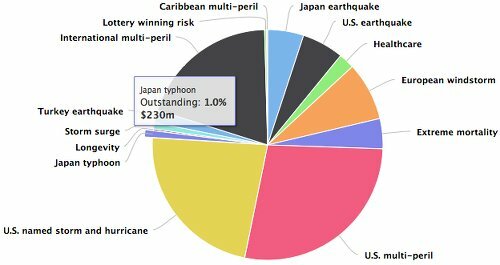 Our chart displaying catastrophe bond & ILS risk capital outstanding by risk or peril shows that Japanese typhoon risk makes up just $230m of the cat bond market today. Two cat bonds are responsible for that risk capital, SJNK’s Aozora Re Ltd. (Series 2014-1) and Mitsui Sumitomo’s Akibare II Ltd.
Japanese earthquake makes up another 5.1%, or $1.145 billion, of the outstanding catastrophe bond market, so the total contribution of Japanese perils to the cat bond market is just 6.1% or $1.375 billion of the total risk capital outstanding. This is surprisingly small. Japan as a nation with a reasonably mature insurance market and high residential and commercial property exposure to catastrophic events would, you might think, be a good customer of the cat bond market. The first cat bond exposed to Japanese perils that we recorded in the Deal Directory was right back in the ILS market’s formative years in 1997. Since then we’ve recorded over 50 cat bond transactions with at least an element of Japanese perils included. Today, Japanese perils make up a much smaller percentage of the catastrophe bond market than you might expect. One reason is the ability of major global reinsurance firms to offer coverage to Japanese cedents at attractive rates, despite the catastrophe exposure, as a form of diversification for their portfolios. 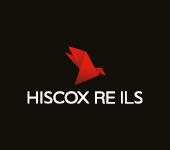 Japanese, or any diversifying peril, has been in demand in the last year or two, as competition has heated up in the U.S. property catastrophe reinsurance market. A reinsurance broker focused on the Japanese market told us that there is plenty of traditional capacity available for Japanese typhoon wind exposures at competitive rates right now, meaning that cedents don’t have much of an incentive to look to catastrophe bonds currently. Also an issue is the fact that cat bonds do not typically cover river flood events, which can result from typhoon rains, a peril that is covered by the traditional market. Given the huge catastrophe exposure and still increasing insurance penetration in Japan we would expect to see more Japanese peril linked cat bonds issued. For Japan typhoon risk to come back strongly in the cat bond market though it is going to need the traditional reinsurance market to become less competitive or for cat bonds to expand their coverage remit, in order to compete more comprehensively. Keep abreast of the make-up of the catastrophe bond and ILS market with the Artemis Catastrophe Bond & ILS Market Dashboard is designed to be a simple and effective tool which exposes the key data contained in the transactions found in our catastrophe bond & ILS Deal Directory, which remains the most comprehensive freely available source of ILS market data available.